TOME is a classic action-packed strategy MOBA brawler where players can choose from Guardian heroes and fight against each other in team-based arena combat in various game modes on different maps. 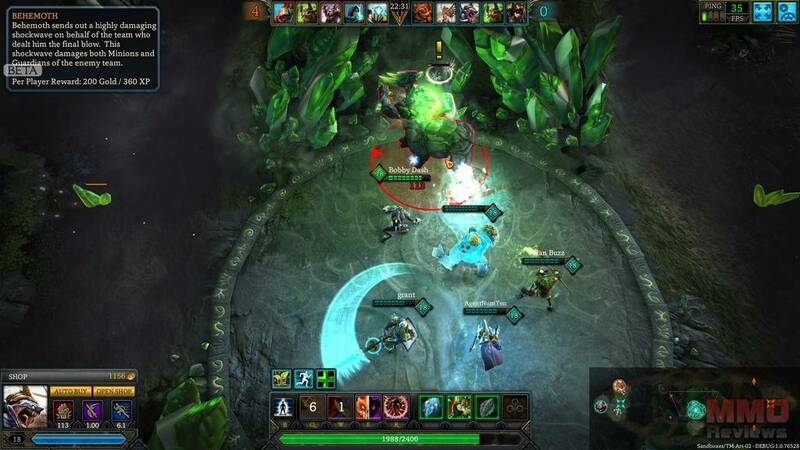 The game is traditional in many ways to classic 3-lane MOBA, but offers a number of different twists to speed up gameplay and enhance individual customisation. TOME is in many ways traditional to the MOBA genre offering up team-based 3-lane arena combat where players must push through enemy defences, including towers and minions, and battle AI or player opponents in an attempt to push into the enemy base and destroy their alter. At the beginning of each game, a players chosen Guardian will begin life at level 1 and through killing enemies and minions they will gain XP that allow them to level up their base skills and unlock their Ultimate ability. During the game, players can also purchase items with acquired in-game gold that will give them perks, bonuses and utility benefits for the duration of the battle. Roles - Filling the various traditional roles in the game such as Slayers that deal extra damage to enemies, Tanks that can soak up enemy assaults as heavily defensive characters, Tacticians that are a traditional support role and can aid their companions in various ways as well as being a bane to the enemy, and the Pushes that help a team make their way down the Lane by destroying minions and towers. Domains - Each Guardian falls into one of six different domains: Creation, Air, Water, Fire, Earth or Death, which primarily affect their visual look and style of abilities but also links to players earning Blessings. By playing with Guardians from a particular domain players will unlock various tiers for that Domain that they can gain Blessings to equip their Guardian prior to entering a battle for extra bonuses. Customisation - Players can purchase a variety of items during the game from acquired gold that will boost them in various ways, typically attacks and defences, however players can also earn Relics when they compete in PVP combat. These relics when equipped can drastically change how a Guardians’ abilities perform in battle, offering up a new level of customisation for players.